A diverse and inspirational group of individuals from various nationalities and countries are working together to help make the project a reality. Here, we make a modest effort to recognize them for their valuable contribution. You will also meet people that are not directly involved in the project but are helping us promote it. Canada's Sales Coach. 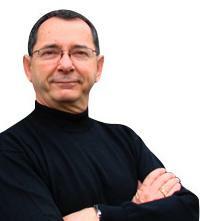 A former college professor, he is the founding president of the Ontario Chapter of the National Speakers Association that later became the Canadian Association of Professional Speakers (CAPS) and is a past director of the Association of Independent Consultants. Tom is the first inductee in the Canadian Speaking Hall of Fame!. Has a Computer Engineering degree from UWaterloo and an MBA from Queen's. 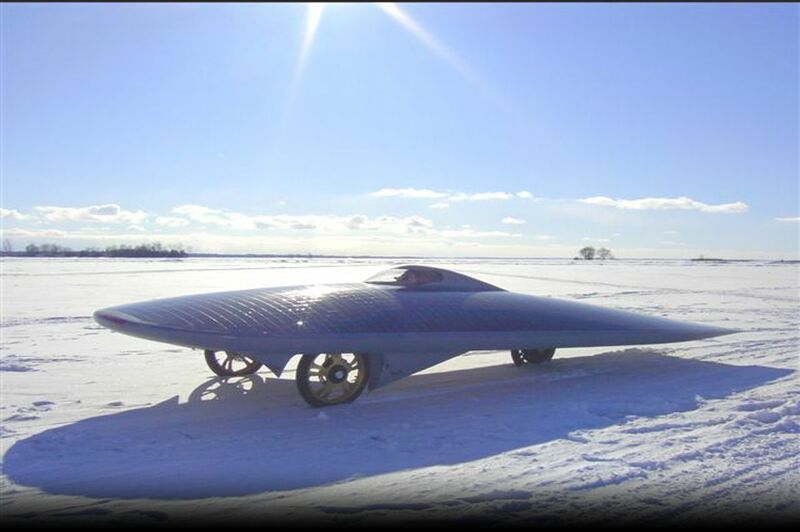 Came across the solar car project while researching green automotive technologies. Brian designed and is managing the new XOF1 website. Advocate for Global Sustainable Communities; President of the Durham Electric Vehicle Association; proud owner of an electric vehicle and a PHEV; Working hard on Marcelo's tracks. Mechanical engineering degree from the University of Alaska in Fairbanks. Doctorate in Engineering from Texas A&M University. Dr. White grew up in Alaska,He is the originator of the award-winning Sustainable Natural Alternative Power (SNAP) to make solar and small wind power systems cost-effective in interior Alaska and Washington state. He is also the originator of the world's only solar drag race and has built numerous solar powered race vehicles. He has many years of Arctic engineering experience and is a registered professional engineer in Alaska and four other states. He has worked on the North Slope of Alaska in construction where he designed a patentable drill capable of drilling 20 inch diameter holes 20 feet deep into permafrost soils in under 3 1/2 minutes. Support team driver (3 times on the tour)and supports the projectin a variety of ways; logistics, public relations, coordinating hosts, arranging educational presentations and baking brownies for team members. Lenny has a degree in Commerce and is currently studying Sustainability at Ryerson University. He is the project manager of XOF1 working on route planning, logistics and project coordination. In undergrad, Lydia studied accounting at University of Pittsburgh.She received her MBA from Carnegie Mellon University. worked as a risk management consultant.she ran the Pittsburgh Marathon and spent several months backpacking through South America. she made several trips to China and later spent 5 months living in Shanghai, studying Chinese. Fluent in Spanish. I have a passion for giving life to my thoughts, make an idea tangible. I like to look at something and think of ways to improve it. Born in Alaska, Jim is a seasoned sourdough! his experience with extreme cold temperatures is a great asset for this amazing Arctic adventure! "Marcelo's journey reminds me of Norway's Amundsen and his trips to reach the North and South Poles. Eventually he succeeded in being the first to reach the South Pole". Anthony is a 2nd semester tool and die program student at Seneca College, he helped with the machining of some of the metals components of the car. Brian help with the construction of one of the wind tunel models and wind tunnel set up. Daniel machine some of the components of the front wheel (hub, spindles, lug nut, dust cover). Dan machined some small metal components, designed and built the MPPT box and contributed with ideas and moral support. Professor Darryl helped with some of the metal components and assembling. Doug built the frame used to assemble the sensors inside the half scale models used during the wind tunnel tests. He also helped with the construction of the 3 wheel model. You have to listen when opportunity knocks. This is an ambitious and interesting project that I am happy to get a chance to be involved in. Eric is a composites engineer, Eric helped build the composite components of the solar car and get all the credit for the construction of the top part of the array, one of the most complex and difficult parts built. Gordon is a former student at Seneca college, while taking a refresher course he helped machine some of the metal components of the car (brackets, supports, etc...) including assisting with CNC machining of some of the more complex components. I am really happy of being part of such an excellent project, which I like a lot. Humberto is a very creative individual, his background as an archited and art director for the movie industry is a great asset to the project, his creativity and innovative ideas gave a very unique touch to the project. Humberto worked close with Marcelo to design the front and rear suspension components and steering geometry. Jack assembled the sensors used to gather data from the model during the wind tunnel tests, ran the wind tunnel during the tests and helped in the construction of the model. I am a free spirit who loves adventure. I value life and encourage others to stop and smell the roses and live each day to the fullest. The solar car project is a great adventure that I am excited to be a part of and I am happy to be helping Marcelo fulfill his dream. Jennifer was the first to believe and help with the project. Jennifer helped with just about everything from the construction of the wind tunnel models, construction of the molds, logistics, sponsorship and website. John wrote the code for the BMS (Battery Management System), helped design, build and test some of the electronics components. Ken is the liaison between Seneca College and XOF1, he also machined the rear suspension a-arm. Kevin is an on going contributor to the project. Kevin's involvement in the project started when he was a tool and die program student at Seneca College. Kevin have machined and helped manufacture a number of pats for the project, participated in the development of XOF1 front fairing carriage system and have helped with tests and events. Kira ran the FEA (Finite Element Analyses) of the front suspension support arm. Professor Archer machine some components for the solar car. Max' s previous experience with the Queen's University solar car team is a great asset to the Power of One project. His experience and knowledge are helping steer the project in the right direction. Max is in charge of the solar array of the car and also have contributed to brain storm sections and ideas. Michael is a great inspiration and a refreshing addition to the team. He is always willing to go the extra mile and lend a hand wherever it is needed and keeps our spirits high whenever things don't go exactly as planned. He also contributes many interesting and useful ideas to the brainstorming sessions. Michael has been a key player in painting the 1/2 scale model and building the molds. He is also helping out with the solar cells, other parts of the car. Professor Ferguson CNC machined most of the metal major components of the solar car. Richard machine some of the components of the front wheel (hub, spindles, lug nut, dust cover). Robert has a background in robotics amoung many other things. Robert contributed with a number of ideas, helped design, modify, fabricate and assemble most metal components on car. Robert gets all the credit for the upright linear steering system and the extention to the rear suspension support arm among many others implemented components of the car. Scott Gamble coordinated the wind tunnel tests of the solar car at RWDI. I think that Marcelo had a great idea with the solar car project. In my own words, I would say that if he was crazy enough to pursue his dreams, then the least I could do is help him a bit. I enjoy cars, design and people. Therefore, working on this project is more of a pleasure for me than real work. I am a very hands-on person. From machining metal parts to canoe building, to rebuilding engines, I am always trying to learn something new. Being involved in the design of a solar car wouldn't surprise anyone who knows me. I am very excited to be a part of the team. Shawn is a multi-task MacGyver. He has been involved in everything from creating the computer designs of the car to carving the 1/2 scale models and molds that will be used to create the car's body and parts. He and Marcelo have spent countless hours brainstorming over designs and ideas. Shawn has a unique way of coming up with creative ideas to overcome problems and obtain solutions. Steve contributed with ideas and devised the system to build the driver's seat. Steve gave us some moral support during the construction of one of the wind tunel models. Sorry Steve, this is the only photo we have of you, and you took it yourself (smile). Stefano ran the FEA (Finite Element Analyses) of the wheels. Stephen participated in some of the design and integration of electric and electronic components of the solar car and contributed with some great inovative ideas for the project to challenge like being the first solar car on an ince road and to reach the artic. Todd participated in brain storming sections, helped with the placement of solar cells and logistics. Tony is a former student at Seneca college, while taking a refresher course he helped machine some of the metal components of the car (brackets, supports, etc...) including assisting with CNC machining of some of the more complex components. Vince coordinated the construction of the solar car parts at Acsion and help fabricate the components. I learned about the Xof1 project through Marcelo when he came to Brazil to promote the project. I understand the importance of the use of clean and sustainable energy that doesn't pollute the environment. I support Marcelo and all of you. May the force be with you.